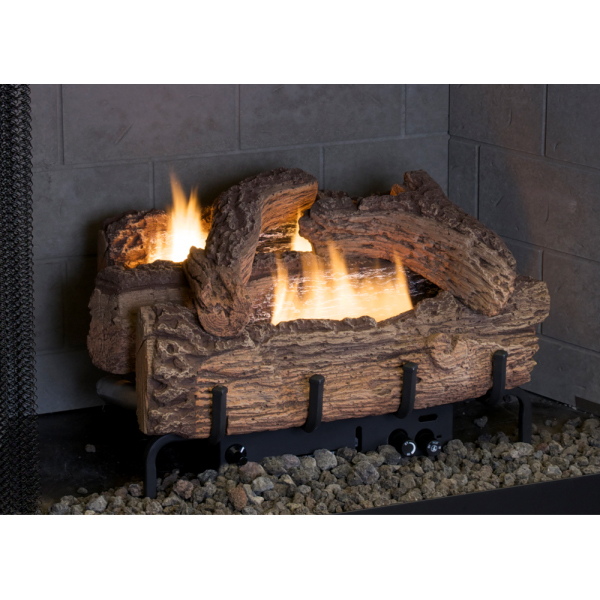 * Please Note: The fireplace's Middle Width must be at least 22.25 Inches and the Depth must be at least 13.5 Inches for this gas log set to fit. You can calculate the middle width of your firebox by measuring the width (left to right) approximately half way back in the firebox. If you have any questions, please contact our customer service department and we will be happy to assist you in finding the perfect size gas log set. Is it possible to add a remote to this item? Unfortunately, the manual burner assembly will not allow the addition of a remote at a later date. Is there a warranty for this item? When burning this, is there a gas small or a material of the logs smell burning off? Is a manual safety valve required on the gas pipe that will be connected to the unit, or would the manual control be efficient enough to turn off when not in use for long periods of time? 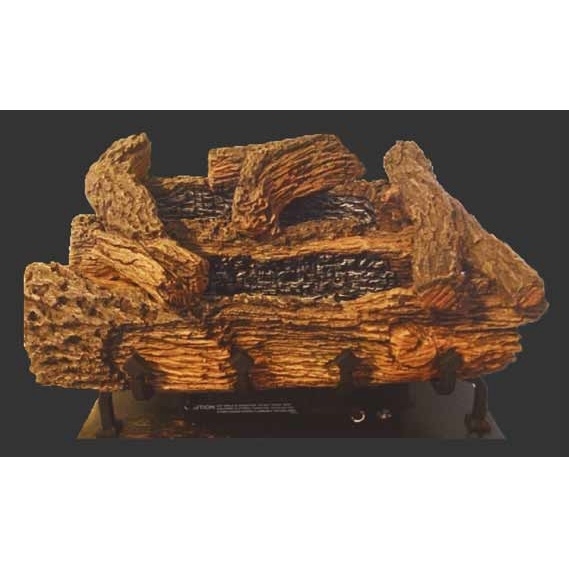 This log set has a four year warranty. There can be a noticeable smell if you have a strong nose or bad allergies. You will indeed want a manual safety shut off valve outside of the fireplace within arms reach. Can this model be used with a gas supply line is on the left side of the firebox? The gas inlet for this model is configured on the right hand side. However, a flexible gas line can be routed around the back of the burner assembly and to the regulator connection. This is the best deal around. I'm a house flipper and always use these guys. I would recommend them to anyone! 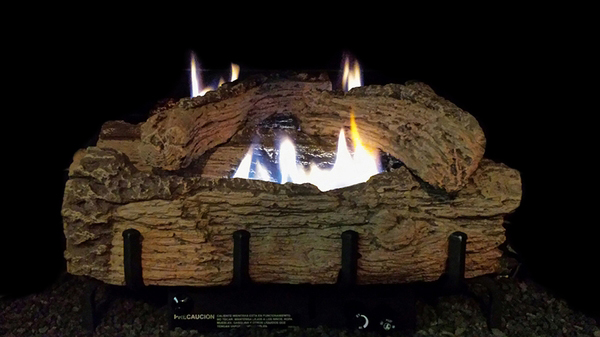 This is a very nice gas log. Puts out a lot of heat. Ordering was really easy and delivery was very quick. It was packed very well. No breakage. The only possible negative would be the logs. They don't fit together with knobs and holes. They just lay on top of each other. This is not a problem for me but might be for others. I gave it a five star rating and would recommend it. I think the purchases (4 - EverWarm 18" Palmetto Oak Ventless Natural Gas Log Sets) I made will work fine but I think I should have ask more question and I would have probably purchased different gas logs. 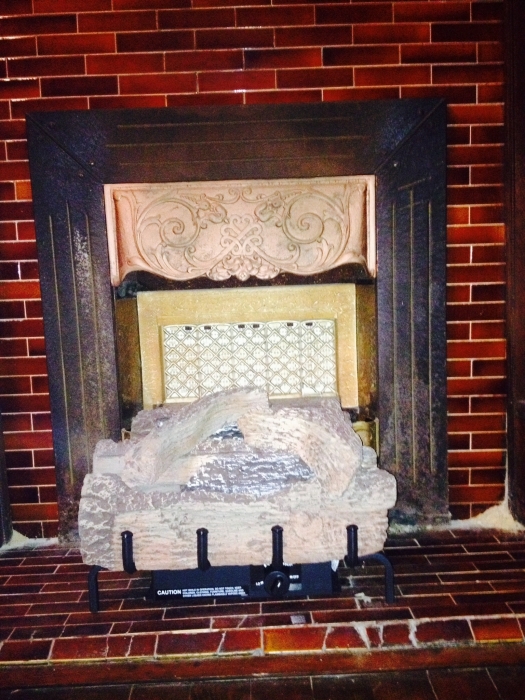 Fast service and great fireplace. Thanks! Great logs! Prompt delivery, easy install, easy controls. I'm in my 60's and have 14' foot ceilings. Keeps me warm and cozy looks better than a more costly set I have. You will not be disappointed! ProsCost, easy install, looks, proformance - can't say enough!